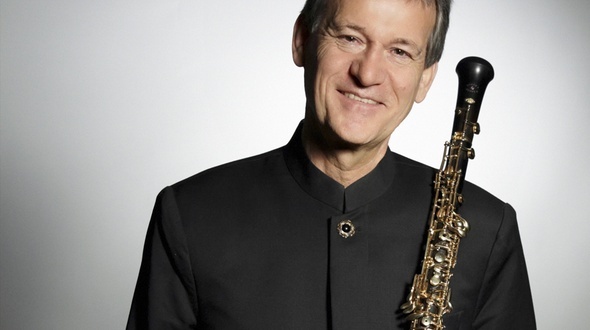 Hansjörg Schellenberger is the former Principal Oboe of the Berlin Philharmonic where he performed with conductors such as Karajan, Muti, Mehta and Abbado. He currently is the principal professor of oboe at the Escuela Superior de Música Reina Sofía (Queen Sofía College of Music) in Madrid and draws in his teaching upon his vast solo, orchestral, chamber as well as conducting and producing experience. Former principal of the Berlin Philharmonic, Hansjörg Schellenberger, teaches one of the standard pieces for oboe, the 1st of 5 solo pieces by Doráti- La cigale et la fourmie. A small fairytale for solo oboe- that not only requires a strong technique, but a deep understanding of the story behind this great music. Schellenberger is the right person to give an introduction to this poetic piece, and he demonstrates and explains how to approach this piece and also how to break it up and practice it the right way. Former principal of the Berlin Philharmonic, Hansjörg Schellenberger, teaches one of the standard pieces for oboe, the great Oboe Concerto by Strauss. This piece is written by the end of Strauss´life and it takes mastery from the player to perform it well. It has all kinds of challenges- technically, in terms of sound, dynamics etc. Schellenberger is a true master of the instrument and as a musician, so lean back and learn. Schellenberger, former principal oboe of the Berlin Philharmonic, teaches and explains the details that shape this wonderful Oboe Sonata by Poulenc. Topics covered are: Sound, reeds, projection, airstream, finger technique, embouchure, attack of notes. 'An old hand on the double reed, a new face on the rostrum.' Such words could be used to describe the present stage in the musical career of Hansjörg Schellenberger. For many years he was first oboist with the Berlin Philharmonic; he also taught at its music school, and from 1983 to 1997 was responsible for the ensemble's activities in the field of recording and television appearances. In short, as he said himself, and as his lifestyle demonstrated, the quiet life was never on his agenda. 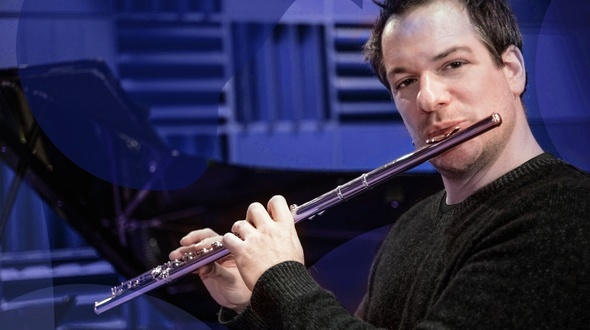 In this free, 12min-long video, Emmanuel Pahud, star principal flute at the Berlin Philharmonic, together with Hansjörg Schellenberger, former principal oboe of the Berlin Phil, share their thoughts on the different principles of breathing and blowing – the fundament for any wind player. Amongst other things, you will see what an incredible air volume Pahud can take up into his belly to achieve his impressive sound. If you are looking for more expert advice on breathing, make sure to have a look at the general breathing lessons with guru Kristian Steenstrup, or his flute breathing fundamentals and masterclass.